This 'Bride to Be' tiara and veil has all the charm and elegance of a classic bridal veil, combined with the fun of a fluffy pink tiara. The tiara is designed both sparkle and comfort. 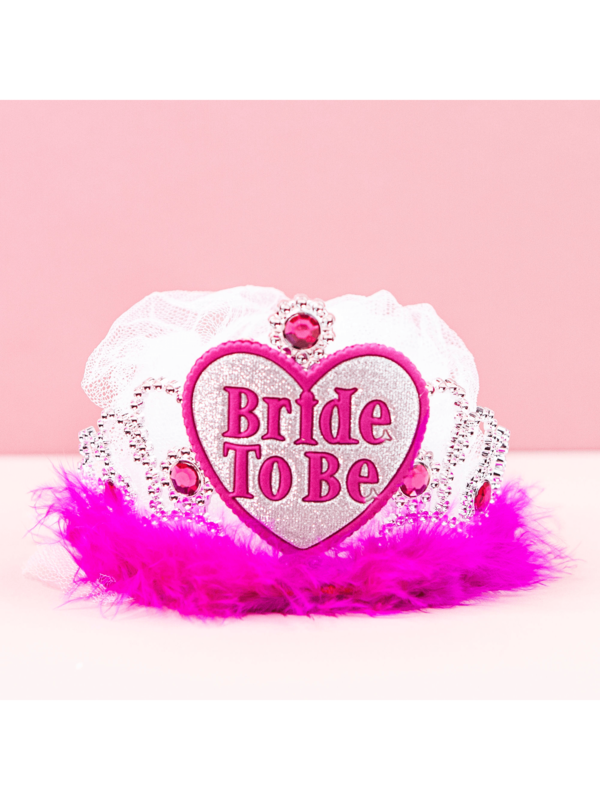 The bride will be able to comfortably wear the jewel-encrusted tiara and veil all night long. Make the bride stand out and let everyone know who will soon be walking down the aisle with this pretty tiara and veil.